Be sure to check out our youth activities listed in the What's Happening Calendar section of our website. 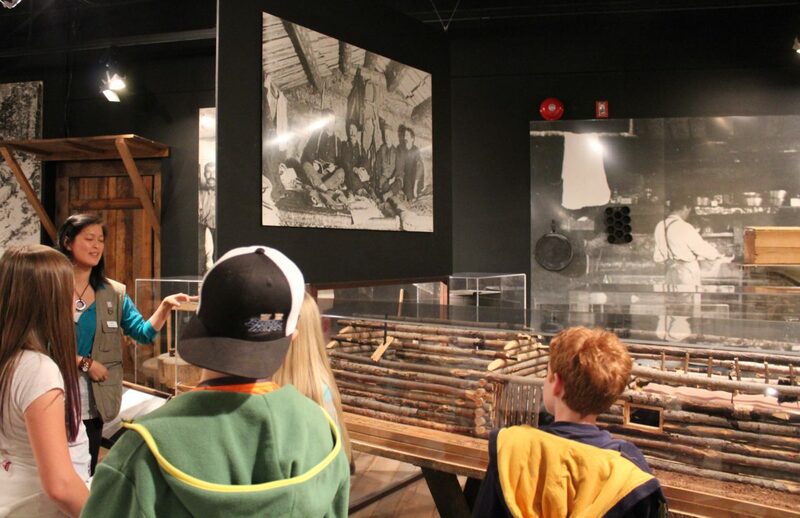 Tours and activities for youth are designed to engage youth and their chaperons in interactive and energetic learning opportunities, all promoting the rich and amazing stories of New Brunswick people and product through history as well as New Brunswick natural sciences. You may be singing, dancing, crafting, cooking, and more! Swimming Silly – Learn all about what makes a whale a whale and a fish a fish through song, movement, and hands on discovery. Birds of a Feather – Learn what causes the birds that we see every day to look so different by exploring concepts things like habitat, food chains and migration through various games and play. Prehistoric Pals – Find out about what kind of animals have called New Brunswick home over the past billion years by examining real fossils and learning all about how they form. 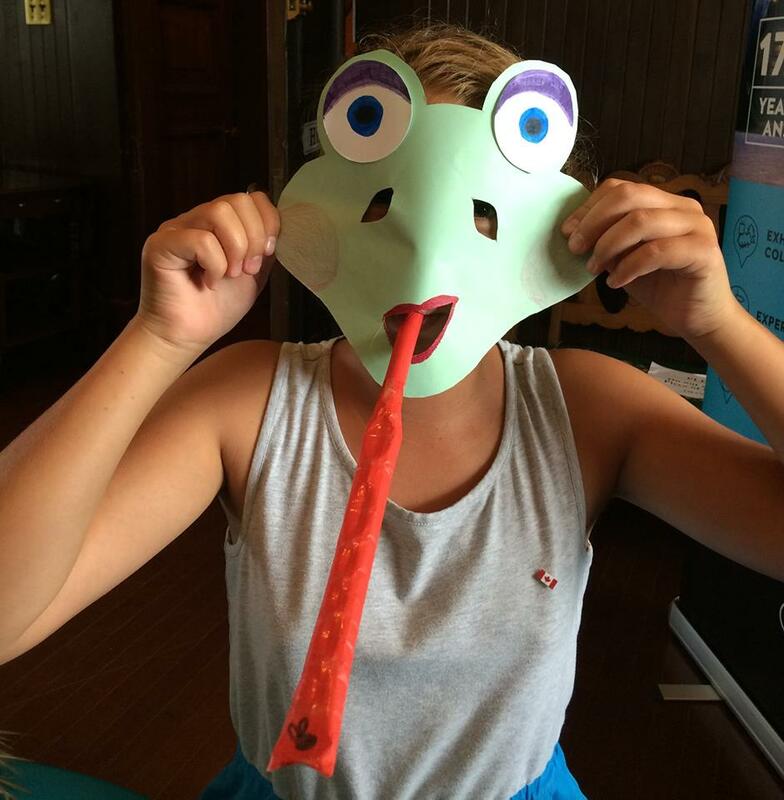 Life in Early Acadia – Try on a pair of sabots and see how different life would have been for early Acadian settlers with this engaging tour complete with costumes, song, and dance. Fossil Finds – Examine samples up close while exploring some of the amazing fossil diversity found within the Stonehammer UNESCO Global Geopark and around New Brunswick while learning all about the differences between rocks and minerals. 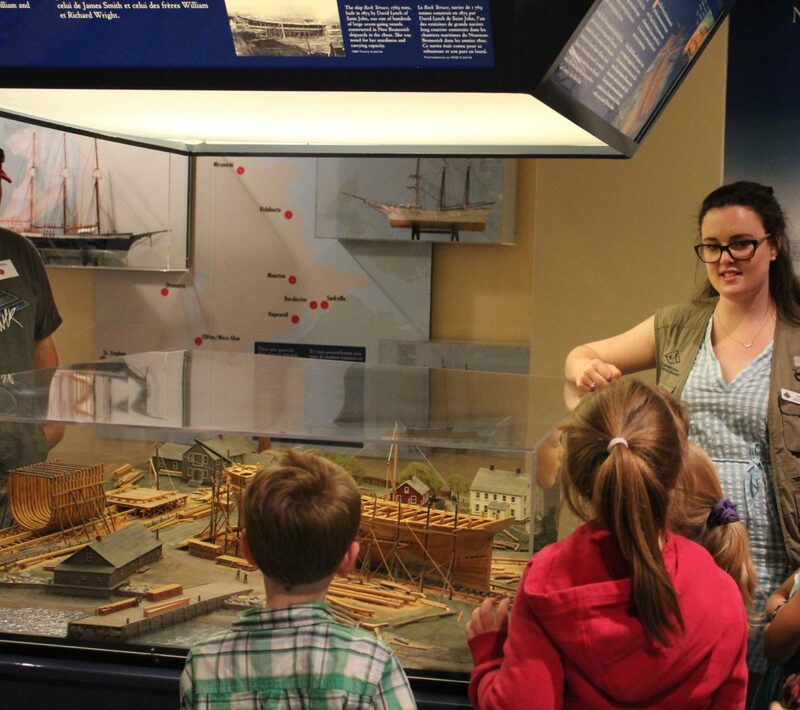 Anchors Aweigh – Set sail on the high seas with this imaginative tour that will guide you through the construction of wooden ships in New Brunswick, and across the seas to faraway lands! Art in New Brunswick – Explore artistic tradition in New Brunswick starting with the indigenous people all the way to the modern day. Leave with your own artistic creation! New Brunswick Heritage – Examine all of the different elements that make up New Brunswick’s Natural and Cultural Heritage. 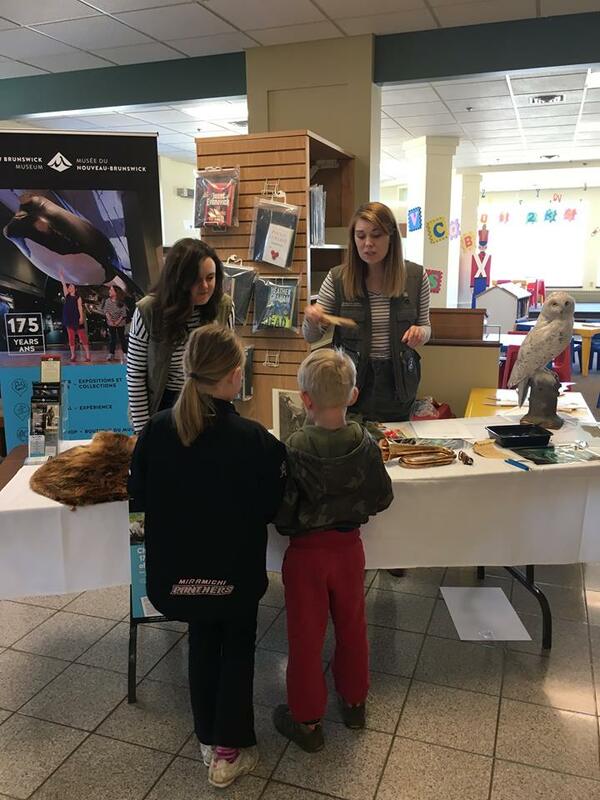 Ocean Conservation – Learn all about the issues under the sea with this presentation outlining the threats facing many endangered species around New Brunswick and what we can do to help save them! *includes some graphic but fascinating images and videos. Geologic Processes – Learn all about the geologic processes that have had to occur in order for New Brunswick to exist as it does today. Explore concepts like plate tectonics, volcanism, fossilization and more with plenty of hands on samples. Fine Art – Explore the various schools of art and artistic thought that have existed in New Brunswick and around the world! Practice sketching in the galleries and be inspired to create your own masterpiece in this interactive tour. 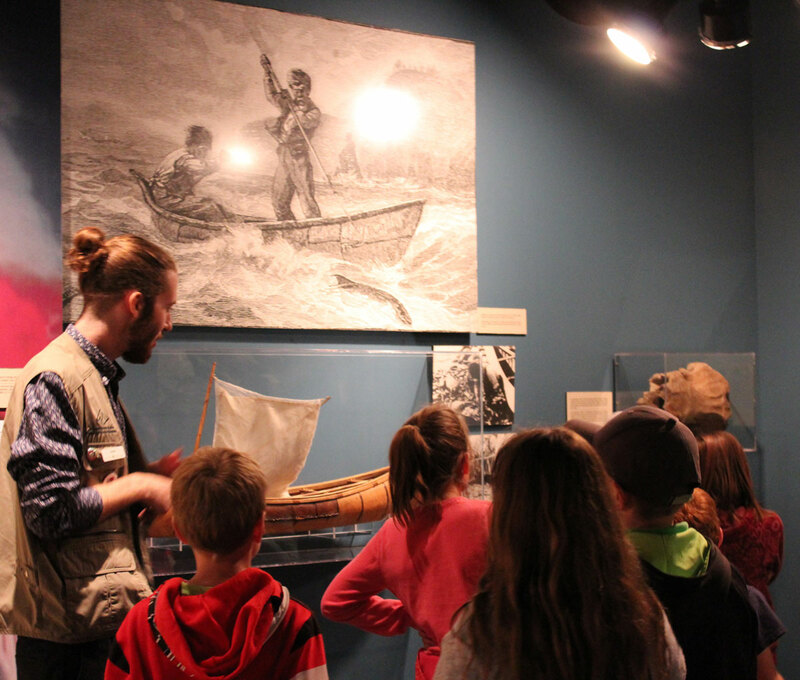 New Brunswick Occupations – Learn about occupations historically held by New Brunswickers, from woodsmen to sailors, and teachers to artists, while considering some of the jobs that help to preserve this history here at the New Brunswick Museum. Personalized Gallery Visit – Special guided tour of the New Brunswick Museum with a Museum interpreter. Select the galleries of interest to your group or have a highlights tour of the whole museum. Uptown Saint John Walking Tour – Explore the streets of Uptown Saint John while taking in the history, architecture, and geology of this region. Things with Wings – Get up close and personal with all kinds of winged things! Includes instruction and discussion on what these creatures have in common and what makes them unique! Owls –This engaging presentation will open your group’s eyes (very wide!) to the wonderful world of owls with plenty of accessible examples and phenomenal facts about these incredible birds. Rocks and Minerals – Get hands on with all kinds of different rocks and minerals while exploring what makes them different. Find out how geologists classify them and learn about some awesome fossils found in New Brunswick. Bats and White Nose Syndrome – Find out about these amazing animals, the threat posed to them by white nose syndrome and what you can do to help ensure their survival! Based on research conducted by the New Brunswick Museum. The Earth’s Crust – Learn about how the Earth’s crust has changed over the past 4.5 billion years through processes like plate tectonics and glaciation. Examine some rocks minerals and fossils that can be found in New Brunswick and around the world.